Amd vs Intel Who is Better at Making Processors? 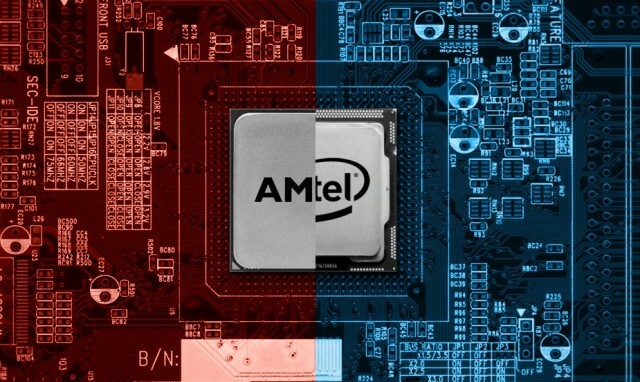 The question as to which brand is superior in making processors, AMD or Intel? Has been a question asked by many PC enthusiasts and gamers. As today we will be finally putting an end to the debate? In the market AMD has quite the name for manufacturing processors with great multi-core performance at an affordable price. Yes, AMD goes head to head against Intel processors in terms of performance at a comparatively lower price. With the launch of Ryzen, the Ryzen 3 series got a lot of praise from the audience for being affordable yet offering great performance. AMD processors can handle multi-core tasks like video editing and Graphic designing quite efficiently. Some of the cheaper AMD's APUs that come with on-board integrated graphics will also give you decent frame rates on not so demanding gaming titles. Mostly known for being a little bit on the expensive side yet offering excellent single core performance, Intel is better than any other processors when it comes down to single core performance. Intel processors are preferred by a lot of streamers and gamers (not saying that AMD processors aren’t). Intel processors are optimized very well to work efficiently while saving a lot of power but their integrated can’t even run Mine craft properly (sighs!). So now, which one is the best? Actually, there is no particular winner if there isn't a scenario to relate to. Your work conditions highly depend on which brand's processors are more suitable to you, suppose your daily/work life require the use of programs that use single core a lot then, definitely Intel processors would be the champion here but,on the other hand, if you are the type of person who uses programs demanding the use of multi-cores,(eg: video editing) AMD processors should be great at handling these tasks .